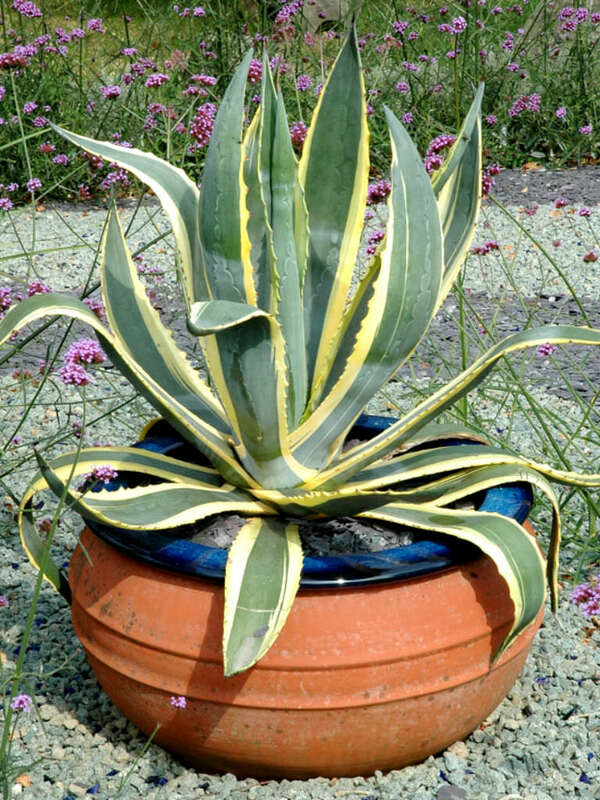 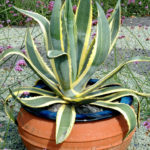 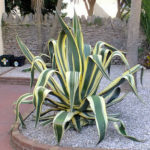 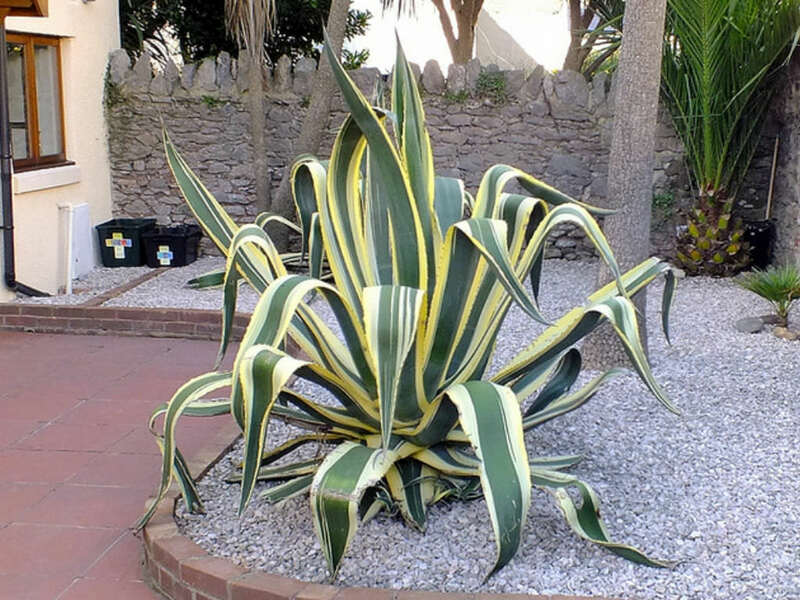 Agave americana ‘Marginata’ is a large rosette-forming succulent up to 6 feet (1.8 m) tall and up to 8 feet (2.4 m) wide with upright slightly wavy gray-green leaves up to 5 feet (1.5 m) long and up to 10 inches (25 cm) wide, that have strong cream to yellow margins. 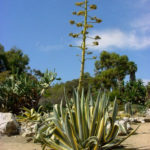 Inflorescence paniculate, tall, flowers pale yellow, up to 4 inches (10 cm) long, perianth segments erect, up to 1.2 inches (3 cm) long, ovary shorter than perianth. 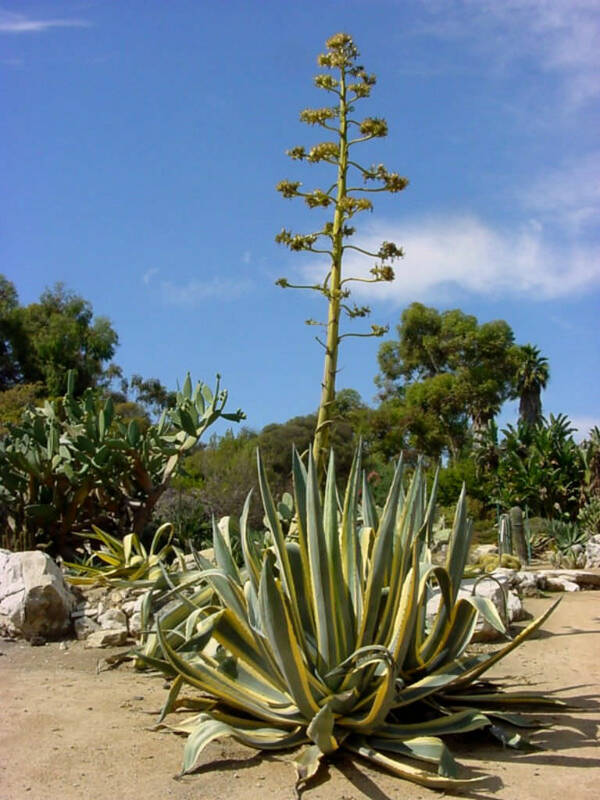 USDA hardiness zone 8a to 11b: from 10 °F (−12.2 °C) to 50 °F (+10 °C).